Middle and lower-middle people get down to serious discussion over a cup of tea in the evening about socio-economic situation, especially cost of education and health-care of their children. One is sure intelligent and people-friendly rulers, whoever they may be, will agree to the view that human civilisation is facing an all-pervading ideological crisis. Some are proclaiming the end of history in the triumph of Western liberal democracy over other ideologies. But such a claim loses all credence since millions are suffering from poverty, ignorance, oppression and disease. The world, as a whole, is in the grip of a philosophical, political and economic anarchy. In the face of such a global state of ideological confusion and chaos, only a comprehensive socio-political and economic system of divine origin can redeem humanity. Such a code of life is the one that has emanated from the Quran and the life of the holy prophet (peace be upon him) ---and is the basis of the welfare state. 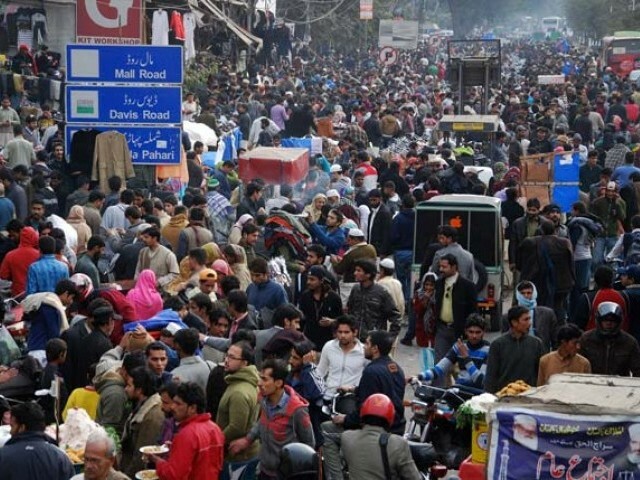 What should Pakistan do to become such a state against the backdrop of present population growth? By the way, the same idea was conceived by the architect of Pakistan . He was in favour of family planning; he could foresee that overpopulation also would be the mother of problems. As a matter of fact, uncontrolled population growth is choking our development effort, affecting individual quality of life and eventually keeping us away from macro-economic goals. About 30 years back, 51per cent of our total farms were small holdings of under-three acres, which grew to 71 per cent ten years ago. Now when a family has six or eight children the same small piece of land is divided into that many children, and the holdings get reduced. Such a land fragmentation inhibits socio-economic uplift as it becomes unfeasible for farm production and increases poverty because it’s insufficient to support even a small family. That’s true of 2010-11 with 3.3 million more births a year. City elders and educated youths, conscious of economic problems, realise that surge in population is alarming. Surprisingly, no politician hungry of political power has ever raised any concern about the population explosion and its consequences. Let’s look back at the population figures. It was 32.5m in 1947, 33m in 1950, 84.3m in 1981, 145.5m in 2002, 148.723m in 2005 and 162.37m in 2009-10, and now that has been put at around 200m. Anyhow, the growth rate was 2.45% in 1951-61, 3.66 % in 1961-72, 3.05 % in 1972-81, 2.61% in 1981-98, 2.1% in 2002 and now reportedly it’s exceeding 3%. Politicians never speak about population rise and its impact, for instance, eventual surge in food prices, unemployment, poverty, disease, hunger, suicide, and crime of all sorts. They develop lust for political power for personal gains and acquisition, ignoring the objective of family welfare. Political and religious organisations haven’t seriously thought of doing some noble research and planning some good work from socio-economic direction. That, first of all, demands control of fast growing population. They never realise that it’s their moral, social and constitutional obligation in the present circumstances.